Description : Yes, I know the Potions aren't drawn on this one, I just wanted to refer to the book to draw them accurately but never got around to it. Oooh! I love this! It's so artistic, how you have everything melding together-- you can just see time flying by as they do all of this and all they had to encounter and go through. It's delightful! 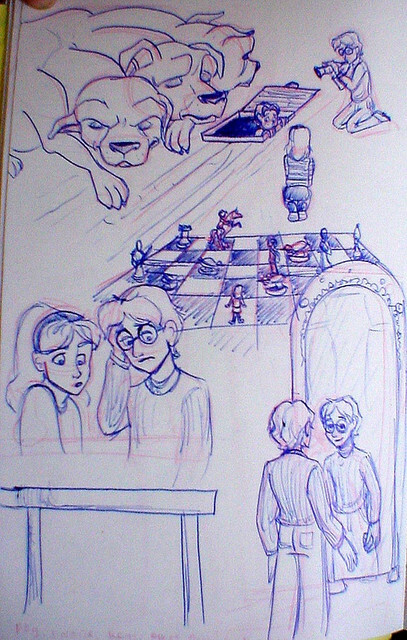 Ah, t'was one of your first HP drawings! I like the chess set! Ron looks so nervous going down that trap door! Creative idea; I especially like Fluffy!